Maccabi Electra simply overpowered Asseco Prokom Gdynia 93-62 on Thursday evening at Nokia Arena in Tel Aviv to remain unbeaten and atop the standings in Group B. The Israeli champs led from start to finish in a game that was never in doubt. Maccabi led 27-13 after 10 minutes and outscored Prokom in each of the remaining quarters as well to improve to 4-0 this season and 5-0 all-time against Prokom. The hosts benefitted from an incredible shooting night, in which they set a club record with the third-best three-point shooting game in competition history: 11 for 14 (78.6%). 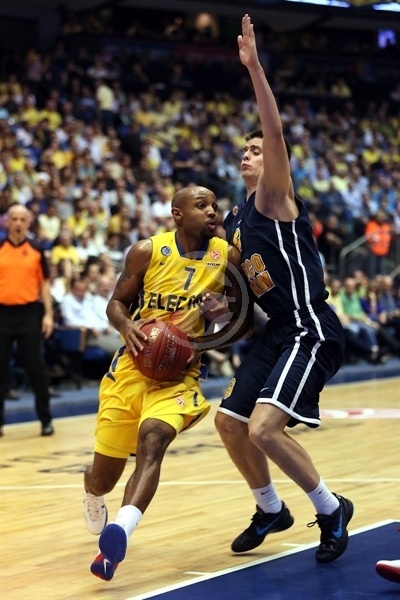 Ricky Hickman paved the way to victory with 14 points, 6 assists and 3 steals. Dadiv Logan added 13 points and 3 steals against his former team, Giorgi Shermadini added 11 points and Nik Caner Medley finished with 10. Jerel Blassingame tallied 14 points and 5 assists for the Polish champs, who dropped to 1-3. Piotr Szczotka scored 12, Mateusz Ponitka added 11 points and Adam Hrycaniuk finished with 10. Maccabi got the start it wanted with Hickman, Shawn James and Yogev Ohayon all getting on the scoreboard before Alex Acker opened Prokom’s account with a three-pointer nearly three minutes into the contest. Caner-Medley nailed a triple before Acker scored Prokom’s second basket. Hrycaniuk drew the visitors within 9-7, but Caner-Medley’s red-hot start continued with a basket-plus-foul. 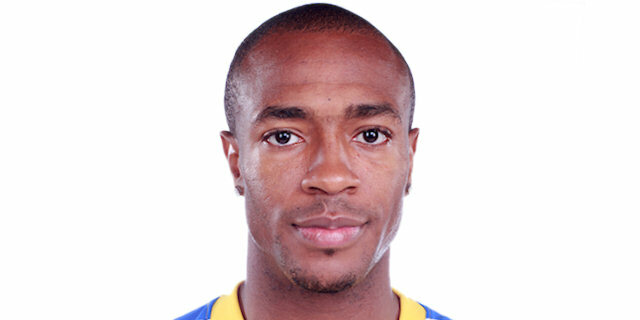 Maccabi’s first wave of substitutions brought David Logan in and he promptly drilled a three against his former team. Szczotka brought Prokom within 6 again, however back-to-back triples by Logan and Hickman doubled the lead. 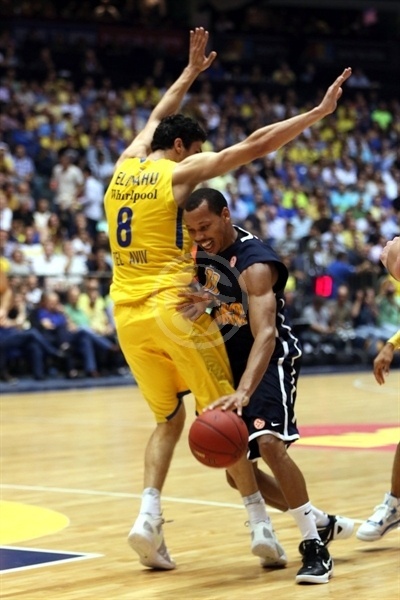 Maccabi then answered a Hrycaniuk score with points by Malcolm Thomas and Lior Eliyahu. Szczotka added a Prokom basket through a fine low-post move, but Ohayon penetrated for a layup to make it 27-13 through 10 minutes. 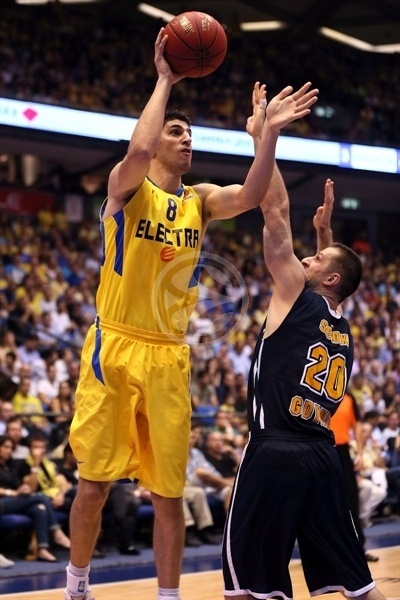 Szczotka remained Prokom’s best offensive option with his third score of the night to open the second quarter. James’s put-back slam brought the crowd to its feet and Hickman followed with a steal and uncontested dunk to make it 31-15. Teenager Mateusz Ponitka scored his first points from the line, but Hickman came down and scored quickly at the other end. Hickman kept going strong with 2 free throws. After a timeout, Ponitka drilled a triple, but James scored easily with a hook shot in the paint. Ohayon lifted the hosts to 39-21 midway through the second quarter. Prokom started to look better as Hrycaniuk and Robinson trimmed the deficit but Logan answered from downtown. Rasid Mahalbasic got on the scoreboard for Prokom, however a Logan fast break layup-plus-foul kept the home team rolling. Devin Smith made it a 20-point game with a minute left till halftime. Jerel Blassingame drilled a three for Prokom, but Smith scored in the final second to leave things at 50-30 at the half. Lukasz Koszarek opened the second half with his first points of the game, but soon enough a James slam and Caner-Medley three-pointer took the lead to new heights. Blassingame answered with his second triple of the game and Hrycaniuk scored inside. Szczotka made it 59-39 midway through the third quarter. Ohayon and Szczotka traded baskets before Eliyahu and Ponitka did the same. Guy Pnini nailed a triple from the corner and Shermadini scored 5 points in the final minute of the quarter. 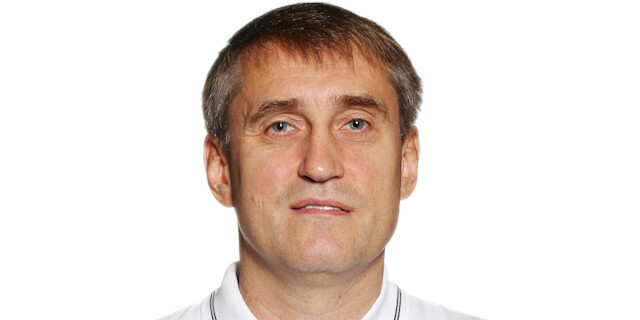 Mahalbasic ended the third quarter at 72-47. 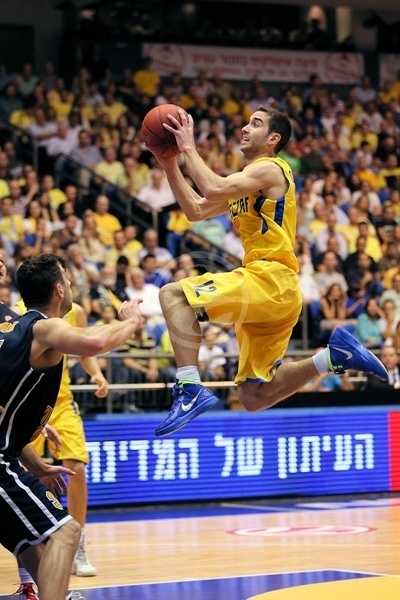 Pnini’s second triple of the night extended the Maccabi lead to 30 for the first time. 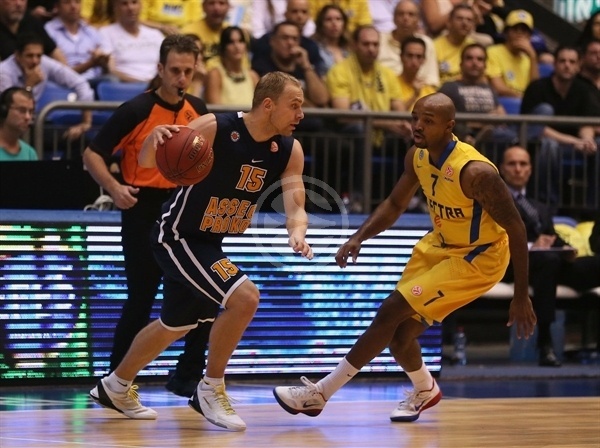 Ponitka and Szcotka answered with the next 5 points, but Hickman nailed another Maccabi three-pointer. 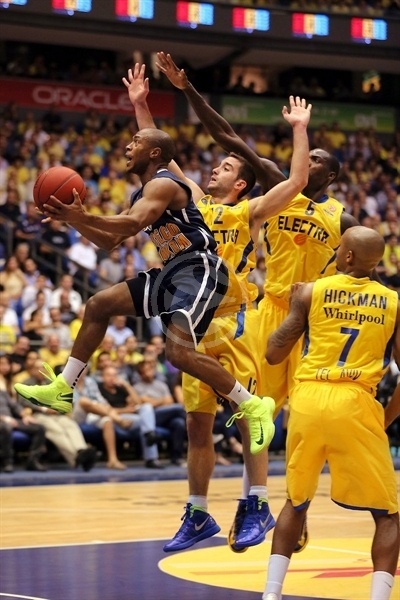 Sylven Landesberg scored his first bucket for Maccabi. Shermadini finished strong to take the lead past the 30-point mark. 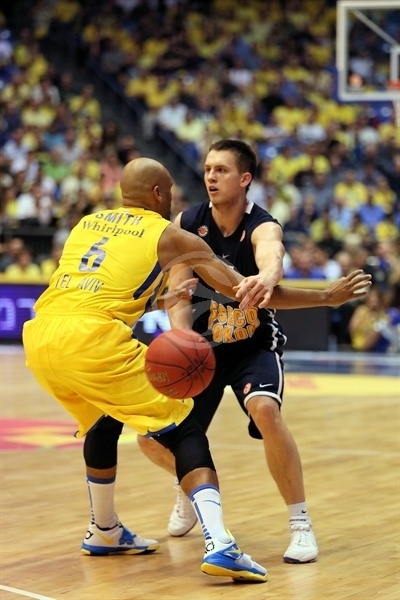 It peaked at 86-54 as Maccabi as cruised to a dominating home win. "I wanted Nik [Caner-Medley] to start the game to give him more confidence and to use his great energy to help us in the first minutes. Giorgi [Shermadini] was great. 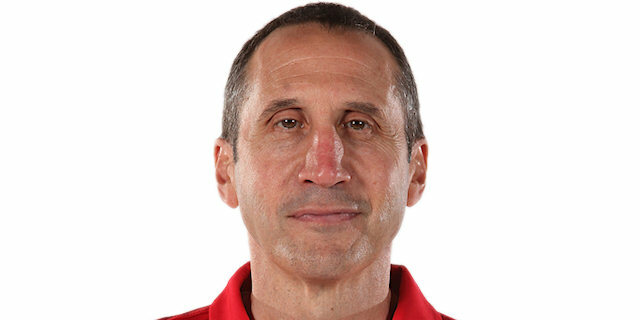 I wish I could have had more minutes for him today. Shooting has a lot to do with how much you have fresh legs. To shoot like that from behind the arc is pretty amazing. We had some good days to practice and prepare for this game and it helped us. When so many players play well, it's easier to win." "Congratulations to Maccabi. Of course it's a little different level of teams. 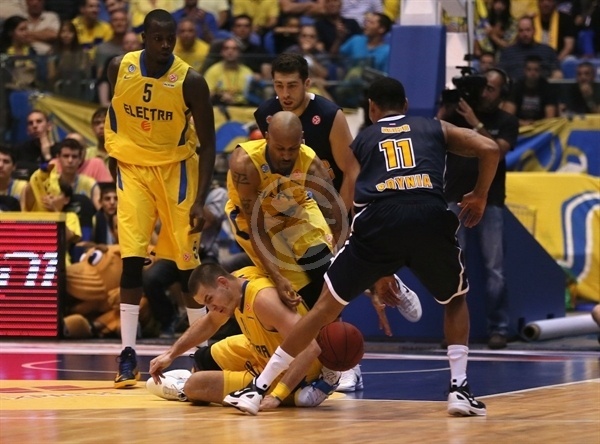 It still it feels bad to lose by 30 points even to Maccabi in Tel Aviv. We tried to be ready for their press, but we didn't do it well. They jumped on us from the start. For some of our guys, it was the first time to play in such atmosphere and it wasn't easy. They did a great job to make us change our game." "We needed to work hard to make it look easy. Everyone on this team can play well at this level. Today everyone played well and that's how it looks. It's important for the new guys to get a chance to taste the atmosphere here and get a good rhythm. We look forward to the next game now and hope to stay perfect." 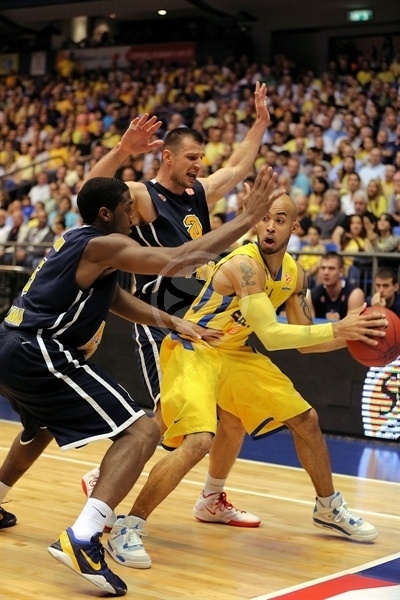 "Maccabi is a very good team. We managed to stay in the game in the first minutes but then they stepped up. 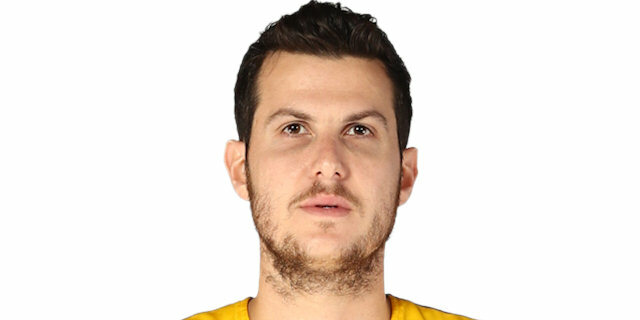 When you make 17 turnovers against a team in the caliber of Maccabi, they make you pay for it."